The highest earner on Youtube is not a grown man or woman! 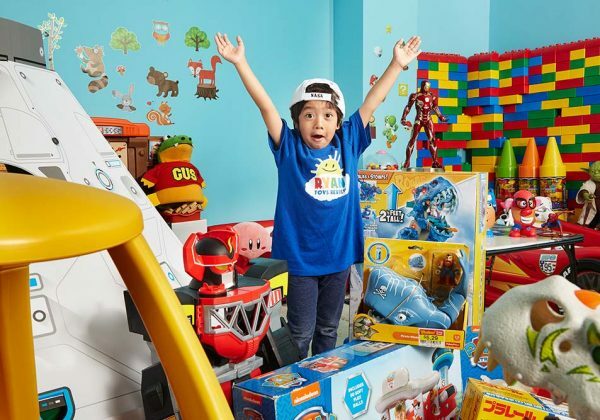 The highest earner for 2018 on Youtube is a 7 year old star who goes by Ryan’s “ToysReview”. Ryan has earned over $22 Million dollars before taxes for 2018 via his Youtube channel. Ryan’s parents back in 2015 set up his youtube account and since then his videos have totaled 26 Billion. Ryan is followed by over 17.3 Million youtuber’s subscribing to his channel. Thanks to his Youtube success Ryan now has his own toyline selling at Walmart.